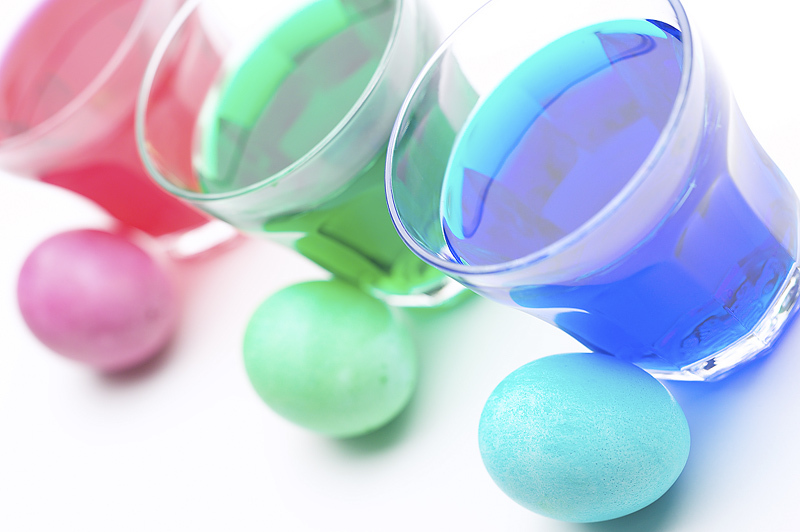 You can color your Easter eggs using so many coloring materials such as natural dyes, crayons, tissue paper, spray paint, etc. But I chose food coloring for a more easy and traditional activity with the kids. Note: Before starting, I suggest that you cover your workarea with newspaper to avoid unwanted stains on it. Kids (or adults) can be messy. 1. Fill small bowls or empty cups about 1/2 to 2/3 full of water. Don't make it TOO full or else when you put the eggs in, it will overflow. 6. After dyeing, you can make the kids design their eggs with crayons, color pencils, water colors. Have fun with your egg hunting! Speaking of which, Elitedresses.com sells affordable yet quality Easter dresses.